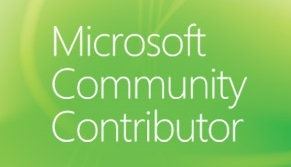 Note: This is a session I gave at the Melbourne UC user group. 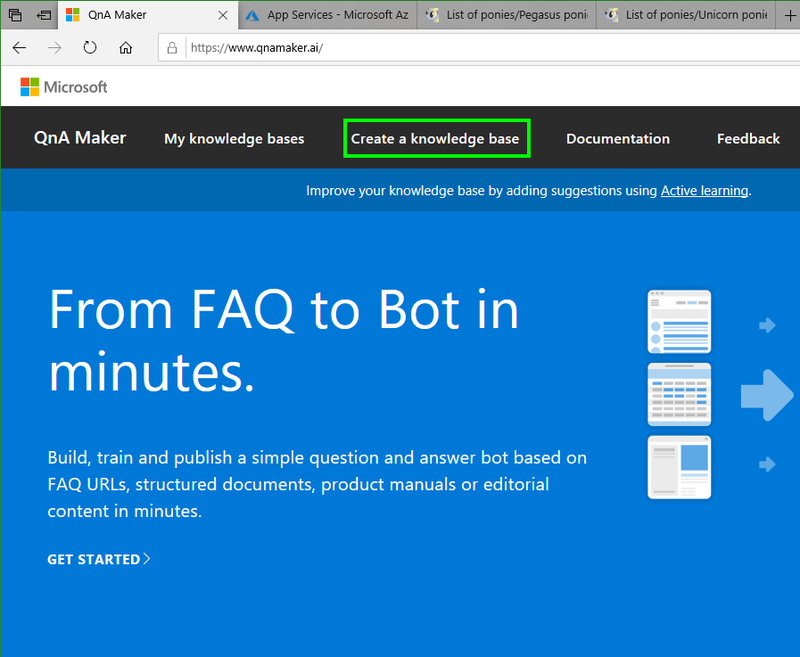 I gave a live demo from start to finish on how to make a simple QnA bot for Microsoft Teams using QnAmaker.ai and Azure cognitive services. Feel free to contact me if you would like me to present this at your event. Building a Bot Without Code! How? Why? Not all of us are code cutters / developers. Sure things like PowerShell really blur the lines between development and operations. Hence the DevOps movement. But there is a clear difference between a developer that writes applications / services and an admin that writes code to simplify technical tasks. 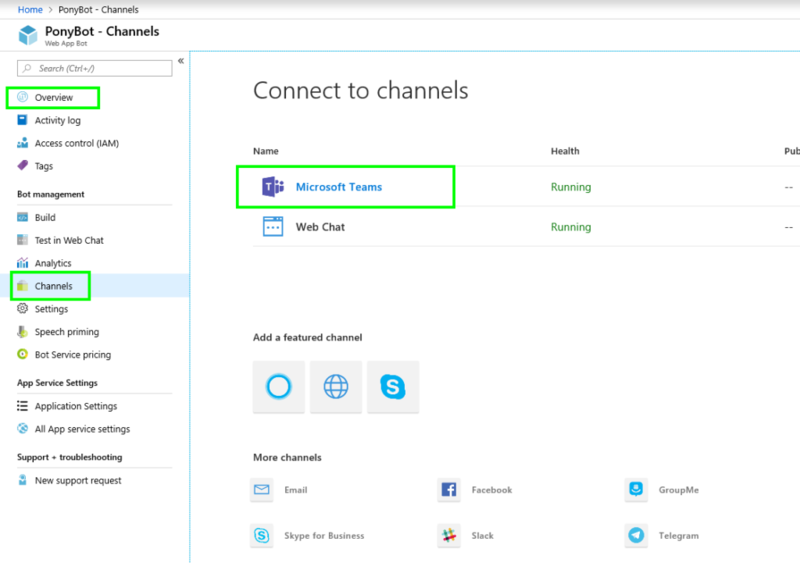 Yet there are still needs for some basic interactions with users using Microsoft Teams and a data source, a process or even some other system and I’ll go into some of the other methods like PowerApps and Flow in another article. So why would I want to build a bot for Microsoft Teams using Microsoft Cognitive Services? 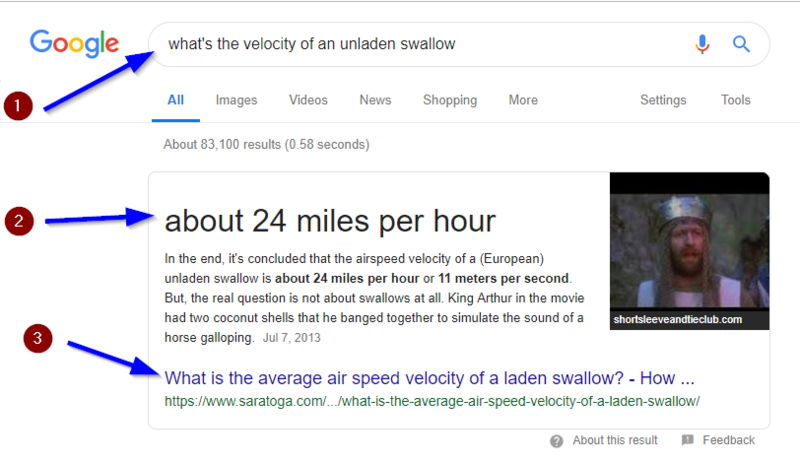 The cognitive services behind whatever assistant tries to understand the context of your question, searches it’s data sources and tries to answer the question as best it can. It will sometimes try to provide a bit of context to this by perhaps showing a snippet of data or where it got it from. and it tried its best to provide an (2) answer with a bit of context, and then provides a link with a (3) source for its information. Okay, you have sold me / I just want to build the bot already! What do I do? Okay, maybe its not quite that simple, but its simple and quick enough I did it in 20 minutes on stage. So lets go through it. To get this up and running we don’t need to spend any extra money. 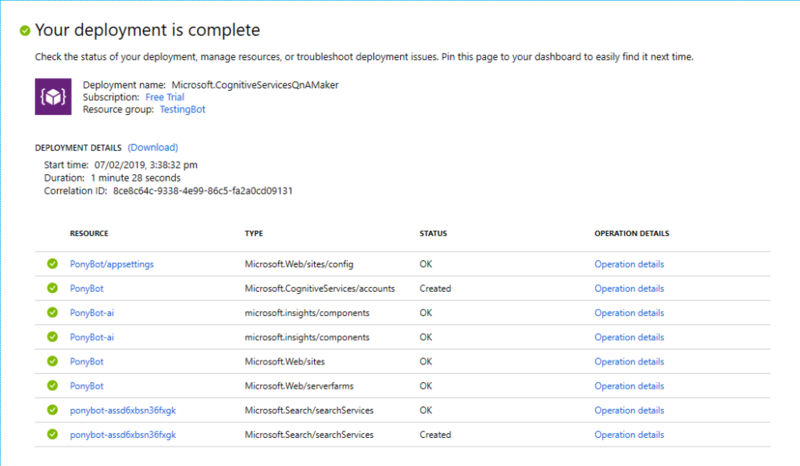 This is all hosted on my Teams tenant with my free Azure account. I’ve even gotten it talking to a free Teams tenant. 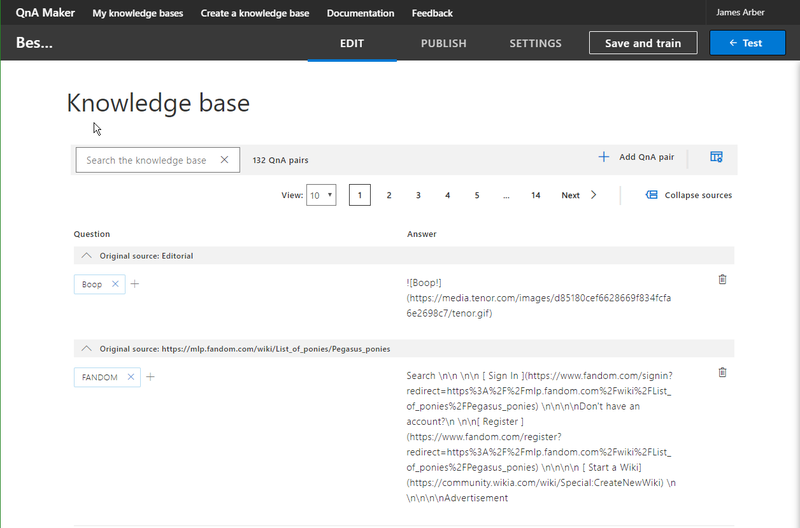 First off we need to create the required services in Azure, so head over to https://www.qnamaker.ai, click Create a knowledge base and login using your MSA account if requested. 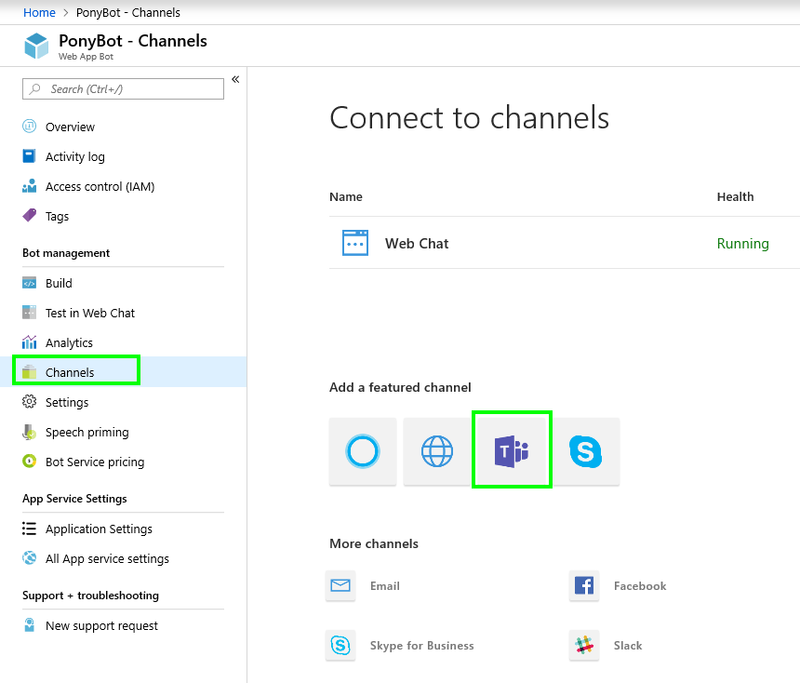 Click on the Create a QnA service button. 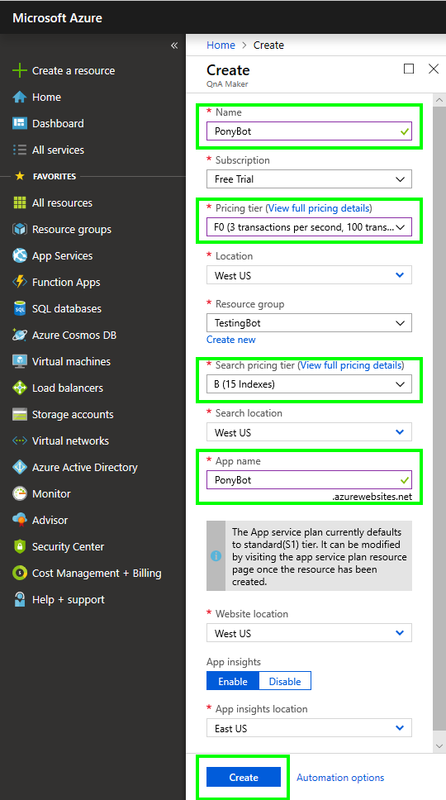 This will take you into Azure to create a new QnA maker service in your Azure tenant. 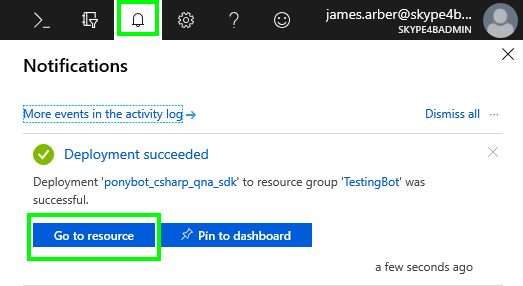 Once you sign into the Azure portal, you should automatically be taken to the Create a resource page to create a QnA Maker resource. 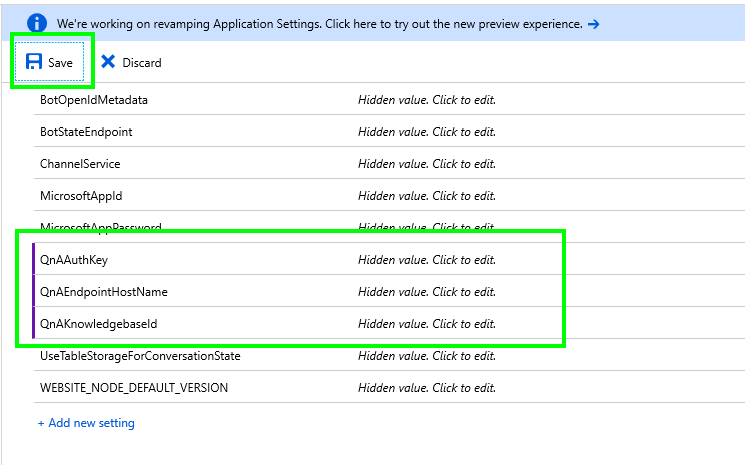 When you fill in the App name, keep in mind this is unique subdomain at azurewebsites.net so you will need to find a unique name to not conflict with someone else. 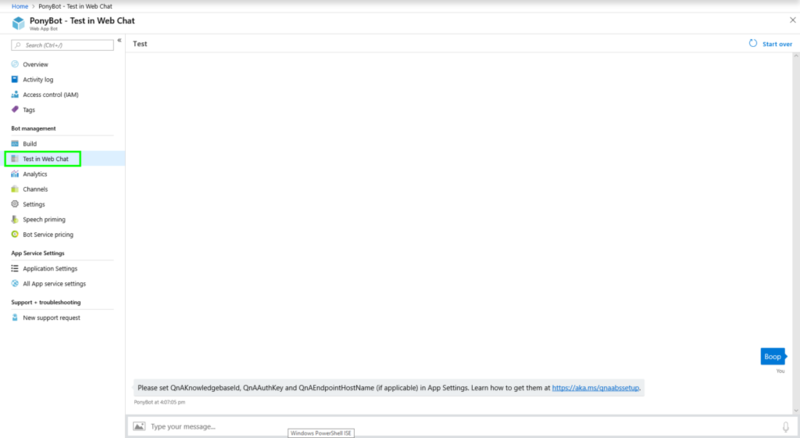 It usually takes a few minutes, but eventually you should see a notification that your deployment is complete. 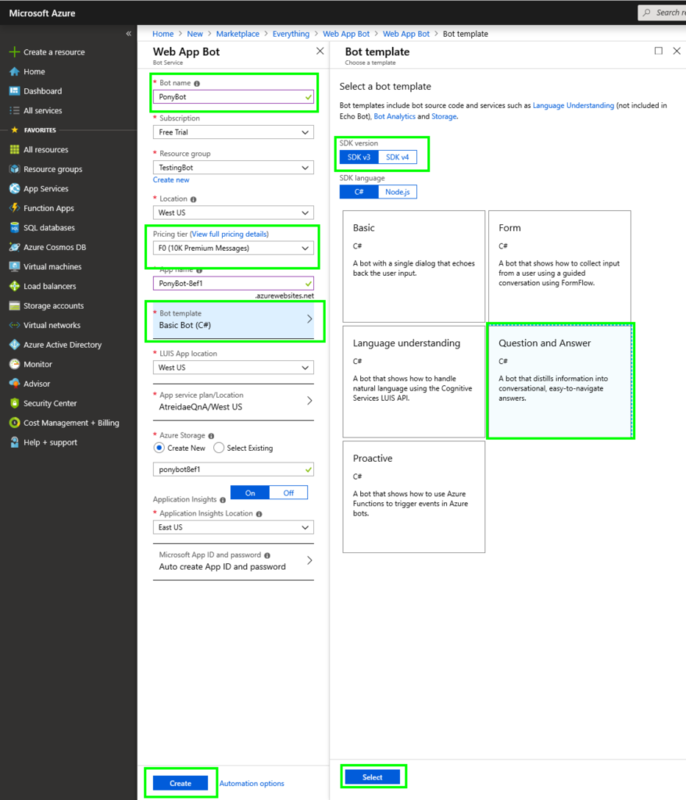 Head back to your QnAMaker tab and continue with Step 2 by picking your Azure tenant, Subscription and the new QnA Service you just created. 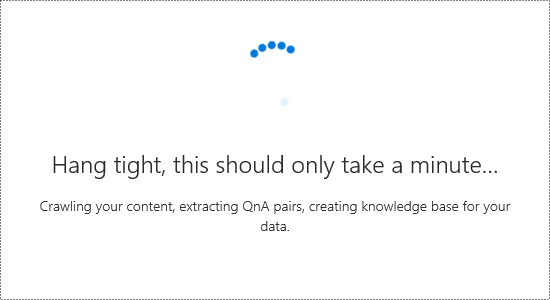 Great, now lets get some data and feed it to the bot for your users to consume. Then populate it with data from the supported data sources. 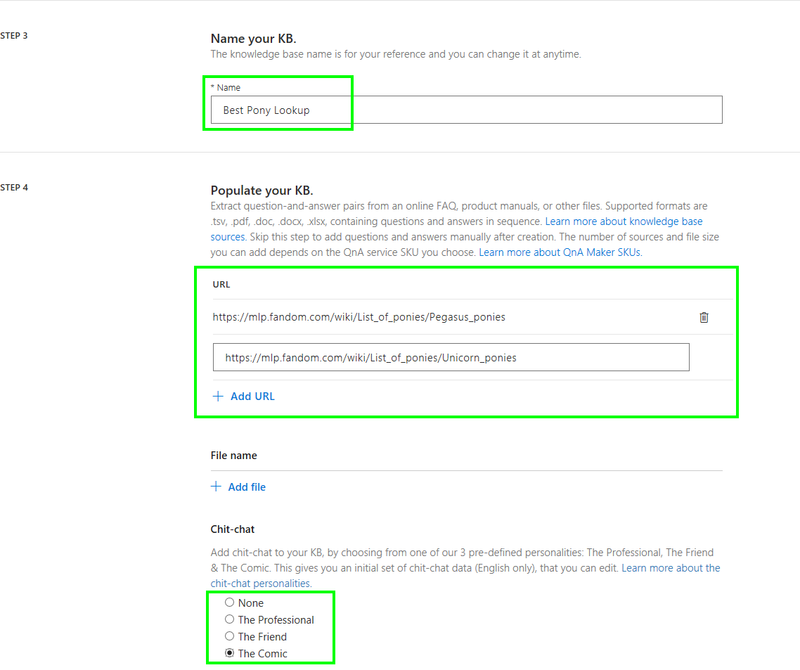 Keep in mind the free version only supports 3 data sources, and the Chit Chat file is considered a data source as well.. so if you need more data you can disable chitchat. In the new Web App Bot create the bot by setting up its Name and Pricing Tier. Cool, Now. Lets head back to the QnAMaker setup. You should have a whole bunch of Question and answer pairs based on your data. 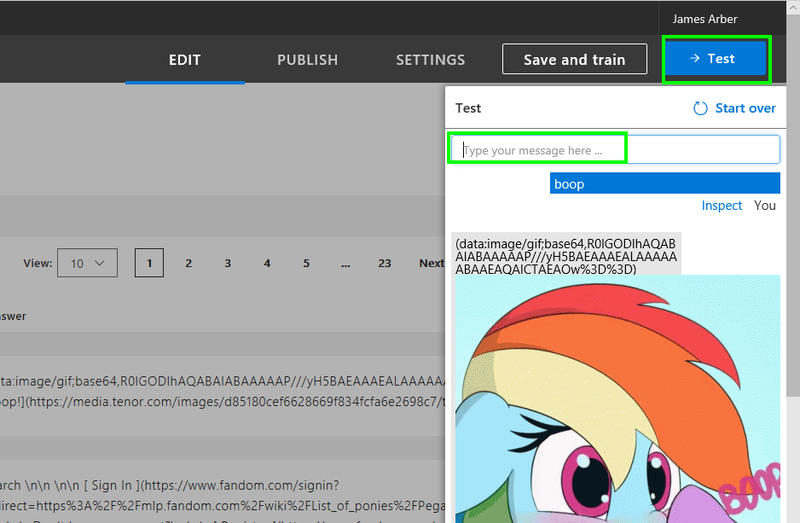 Click on Test and try talking to your QnA Bot. Once you click on publish you will be taken to a page advising your new QnA Service has been deployed. It will also show some key data that we need to take note of. Save this for later. You will need to get these values for the HTTP request before. 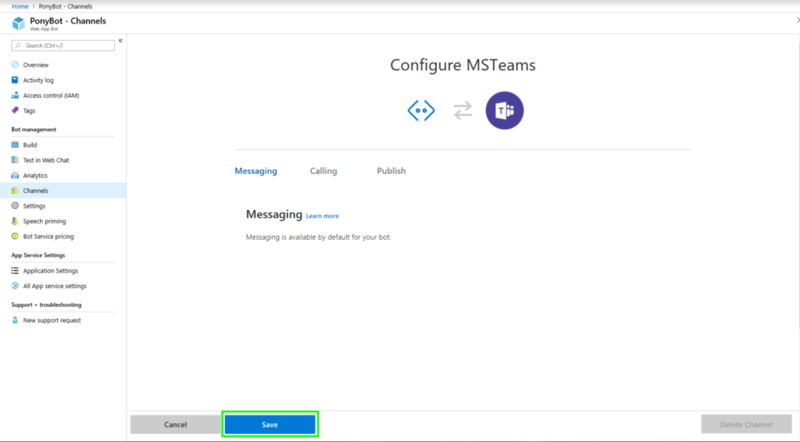 Looks good, Now lets connect it to Teams. This will open a new tab that will try to invoke teams. 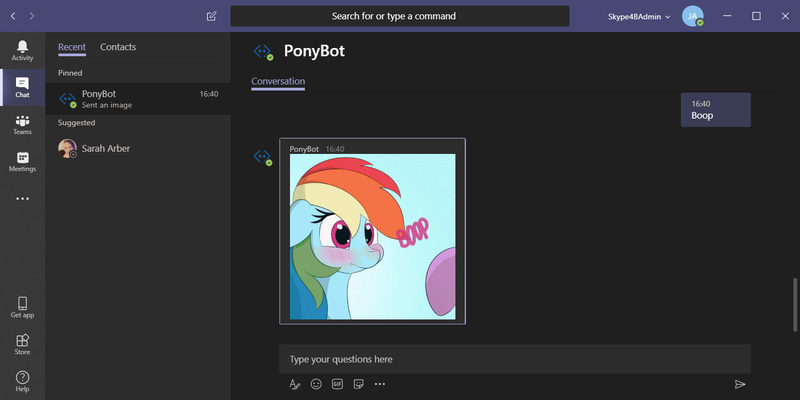 Click on your preferred method and you will be taken into a private chat with your freshly made bot. Congratulations, you have made a bot and connected it to teams. without a single line of code! 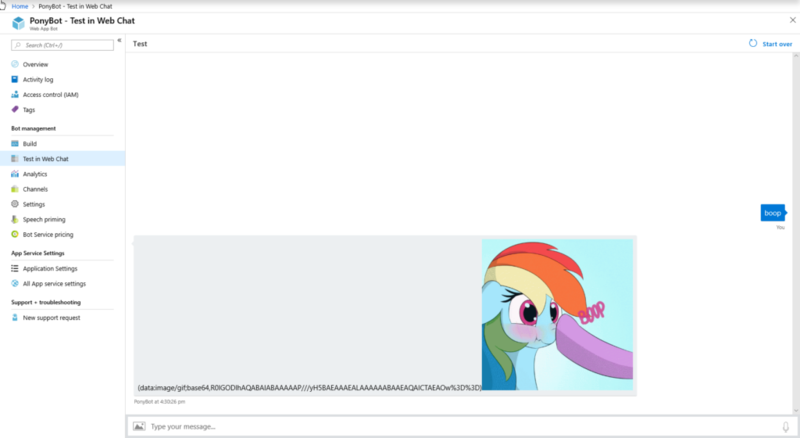 Now our bot isnt perfect, you need to send the URL to anyone that wants to use it. and it only works in private messages. 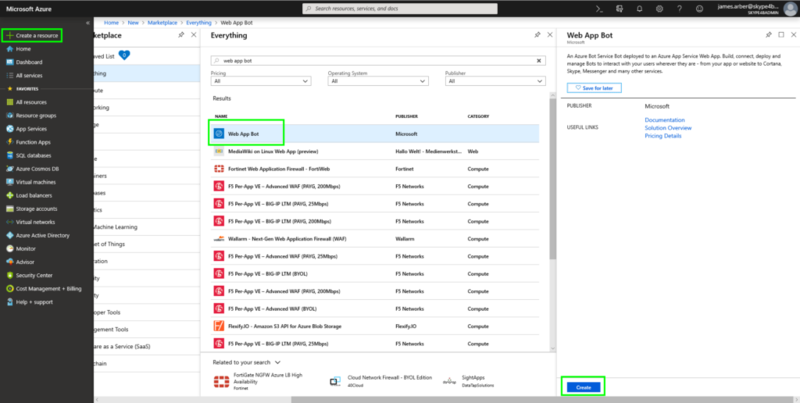 Next time, we will talk about using App Builder and publishing our apps to your tenant’s repo or even the Microsoft Store.. and you can test it all without needing to setup a SSL certificate or web server!